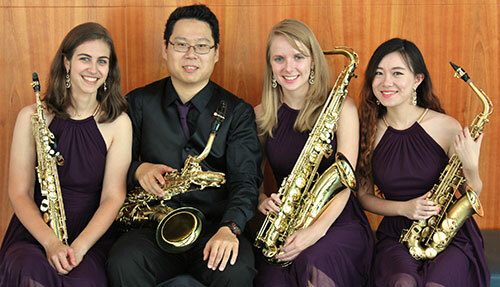 Formed in 2014 at the Eastman School of Music, Farrago 4, from the Latin for “assorted medley or conglomeration,” is dedicated to promoting classical saxophone within the Rochester, NY community. The ensemble gives frequent recitals at Eastman in addition to performing at local nursing homes and children’s museums. 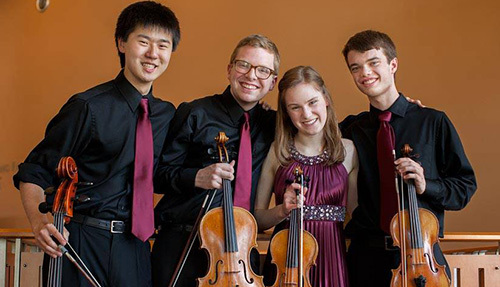 Quartet Fuoco is a chamber ensemble of the Midwest Young Artists Chamber Music Program in Highwood, IL. Made up of principal players in MYA’s Symphony Orchestra, the group was the featured performer at the 2014 Fischoff Gala in Notre Dame, IN and performed on NPR’s From the Top in June 2014. 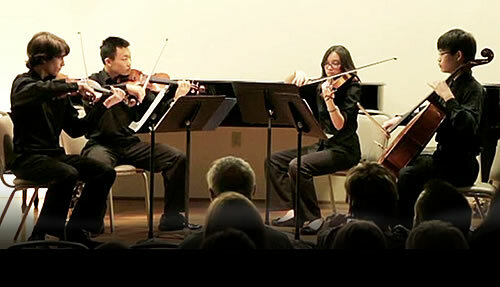 Quartetrilateral has been playing together since August of 2014. 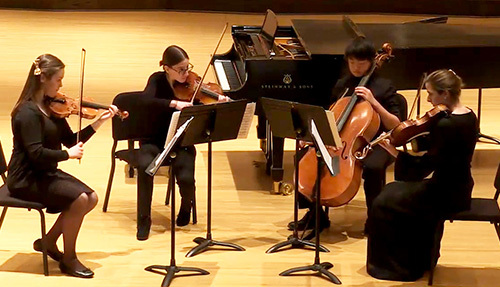 Formed as part of the Intensive Chamber Music program at Midwest Young Artists in Highland Park, Illinois, the ensemble regularly plays gigs and chamber music recitals in addition to competing nationally. Formed in the fall of 2014, the Philharmonic Association Quartet is comprised of instrumentalists from the Triangle Youth Philharmonic, the top orchestra of the Philharmonic Association. All members were specially selected from the orchestra to be in this chamber group, which is one of two similar string groups in the organization.